GarageWorks Industries is globally known as one of the top vinyl toy production house in the industry. 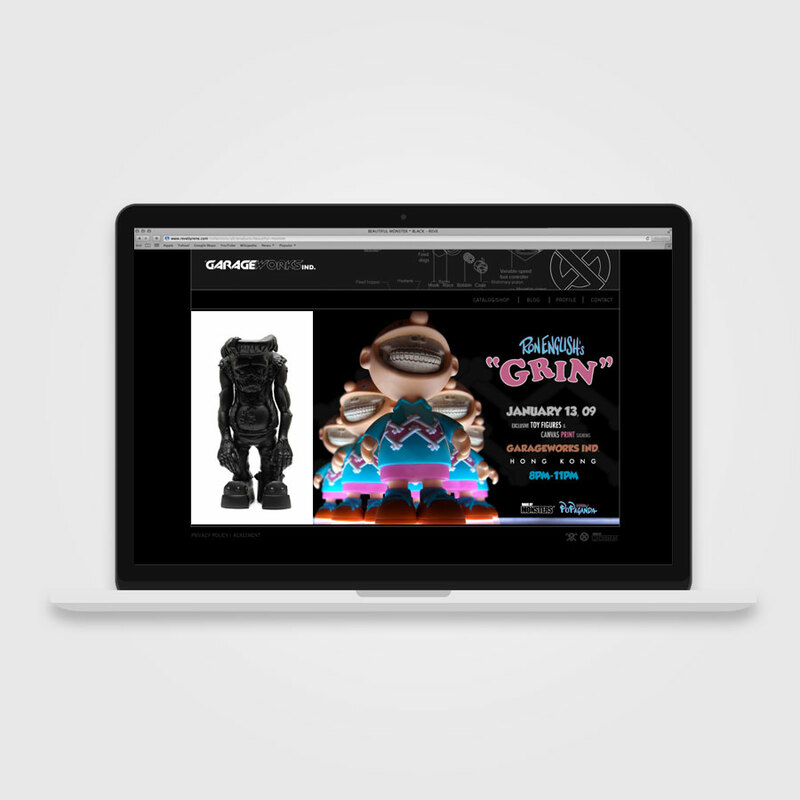 GWI creates works of art for companies and artists such as Disney(USA), Bandai(JP), Vans(EURO), Bounty Hunter(JP), Diesel(INT), Ron English(US), Jim Philips(US), Johnny Ace(US), to list a few. Their custom CMS eCommerce platform allowing the user to manage their products, add inventory, and easily update their blog.